Acme United Corporation at ReStockIt.com. Acme United Corporation is a leading worldwide supplier of cutting, measuring and safety products in the school, home, office, hardware & industrial markets. 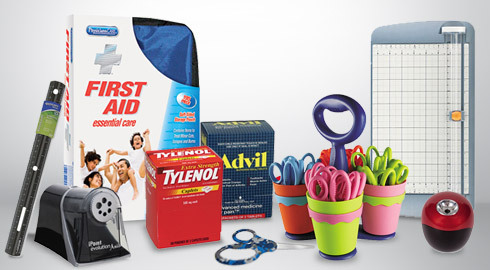 Acme United products are organized under three global brands: Wescott, Clauss and PhysiciansCare. The three brands provide a variety of products from shears and snip, first aid kits, sting- pain relief, bandages, ointments & creams to scissors, rulers, utility knives & blades and trimmers. In 2007, Acme United Corporation was recognized by Forbes as one of the “200 Best Small Companies in 2007” and by Business Week as one of its “100 hottest small companies in 2007”. Fortune Small Business recognized Acme United in 2005, 2006, and 2007 as one of “America’s 100 Fastest Growing Small Public Companies.” The company was Office Products International “Vendor of the Year” in 2005. ReStockit.com offers you thousands of Acme-brand products at warehouse prices. Acme United Corporation on Sale Today!